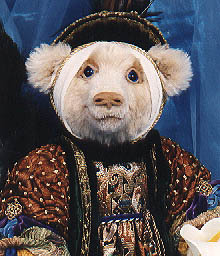 This Renaissance Angel is a beautiful one-of-a-kind bear. 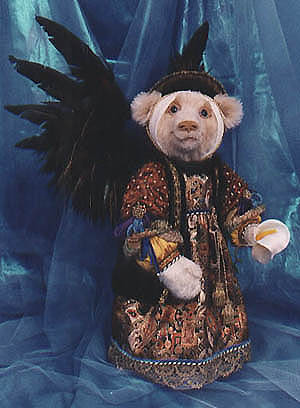 She has removable hand made wings of exotic feathers. Her costume is of the finest materials. Callista is made of mohair and fully jointed, has a swivel neck and flexible arms. She has leather facial details that add a signature charm.